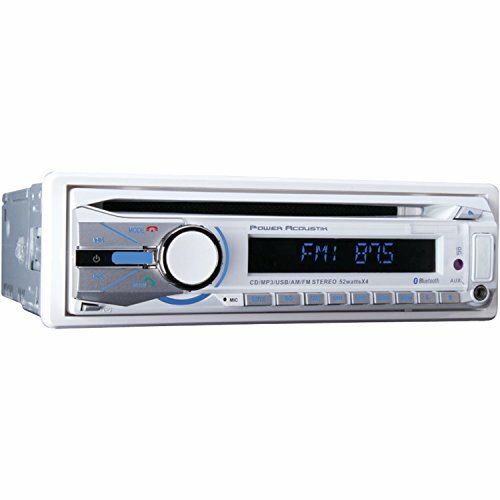 Enhance your time on the water with this MCD-41B Single-DIN Marine CD/MP3 Receiver with USB & Bluetooth. This unit has conformal-coated PCB and faceplate plus the faceplate itself is detachable to discourage theft. Enjoy MP3 and WMA files on 32GB USB drives as well as CDs. The MCD-41B has 52W x 4 MOSFET, front and rear preamp outputs and includes a remote as well as a faceplate carry case.